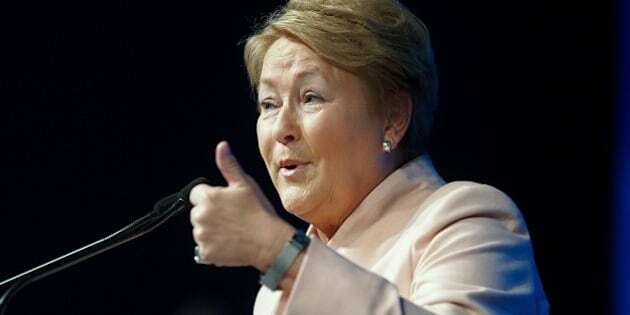 Any doubts Quebec Premier Pauline Marois might have still held about calling an election in the next few weeks have likely been dispelled by the latest poll results. They show the Parti Québécois capable of easily winning a majority government. The poll, conducted online by CROP for La Presse between February 13 and 16, pegged the PQ at 40 per cent support, a gain of five points since January. Philippe Couillard’s Liberals slipped one point to 34 per cent, while the Coalition Avenir Québec of François Legault was unchanged at 16 per cent support. The Parti Québécois made much of its gains from undecided voters, a strong sign for the PQ as an election approaches. The party also seemed to benefit from a three-point drop by Québec Solidaire, the sovereigntist outfit to the left of it on the political spectrum, to seven per cent support. If that means fewer vote splits between the two parties, that also works in the PQ’s favour. The most crushing number, however, is in terms of the voting intentions of French-speaking Quebecers, who make up the vast majority of eligible voters in most ridings. Among this group, the PQ surged ahead to 47 per cent support, with the Liberals at 24 per cent and the CAQ at 17 per cent. That gives the Liberals little prospect of making seat gains outside of Montreal, the only part of the province in which the PQ is not polling ahead of its rivals. And at 34 per cent province-wide, the Liberals have registered their lowest level of support in CROP’s polling since Couillard became party leader in March. For the PQ, the 40 per cent score represents its best result since early 2011. On who would make the best premier, Marois put up her best numbers since winning the job in September, 2012. She had 30 per cent support, against 22 per cent for Couillard (his worst as Liberal leader) and 13 per cent for Legault. Satisfaction with Marois’ government stood at 42 per cent, the highest result in a year. It all adds up to a list of very good reasons why Marois might be impelled to call an election herself. The minority PQ government will present its budget tomorrow, but it is unlikely to ever be put to a vote. Rather than wait for the Liberals and CAQ to combine to vote it down on their own terms, the Quebec premier may simply pull the plug on her own government, citing opposition intransigence. This poll suggests that, if she does call a vote, Marois will be the favourite to prevail. But elections in Quebec are rarely so predictable.